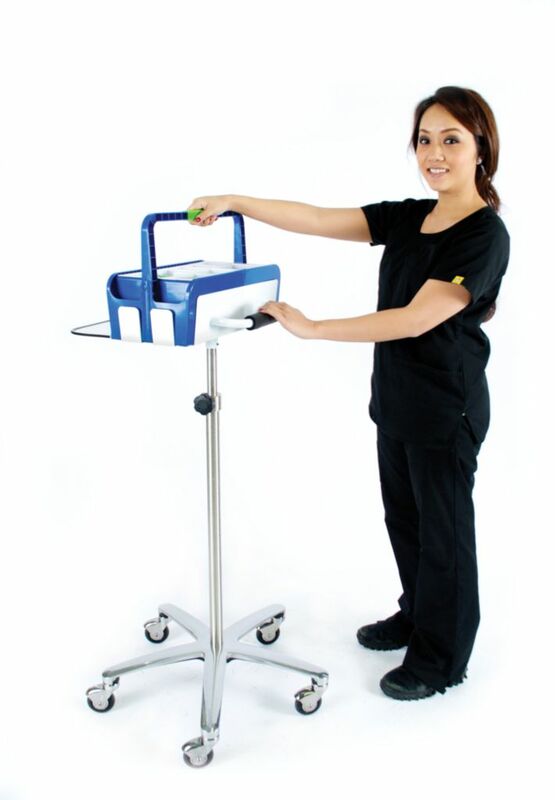 Carts feature a handle for pulling the unit and a weighted base for stability. Carts also offer adjustable height and include a single blue tray. They do not include any extra features, such as bins or waste containers.